The latest Diocesan Assembly of the Western American Diocese was convened on November 15, 2016. 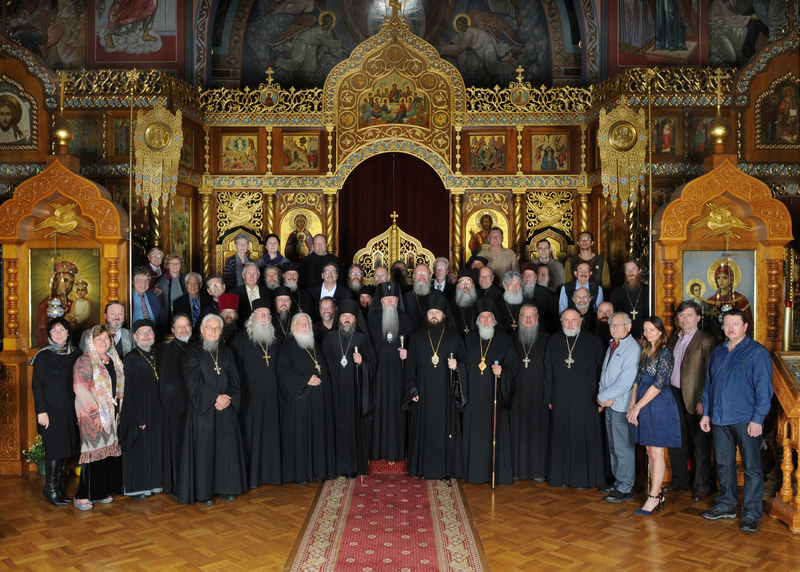 His Eminence Archbishop Kyrill presided over the meeting in the presence of His Grace Theodosy Bishop of Seattle, His Grace Irenei Bishop of Sacramento, His Grace Bishop Nikolai (Soraich) along with over 60 clergy and lay delegates from throughout the Western American Diocese who represented the majority of its monasteries and parishes. The Assembly began with the Divine Liturgy and a “Molebin before the Beginning of Every Good Work.” The working sessions with detailed reports and presentations began after breakfast. Archbishop Kyrill opened the first session and presented key points from the life of the diocese over the past 5 years, addressing major jubilees that had been prepared for and duly marked, ordinations to sacerdotal orders and many significant milestones. He himself, traveling throughout the diocese and participating in these events has a clear sense of the strengths and weaknesses of the Western American Diocese. 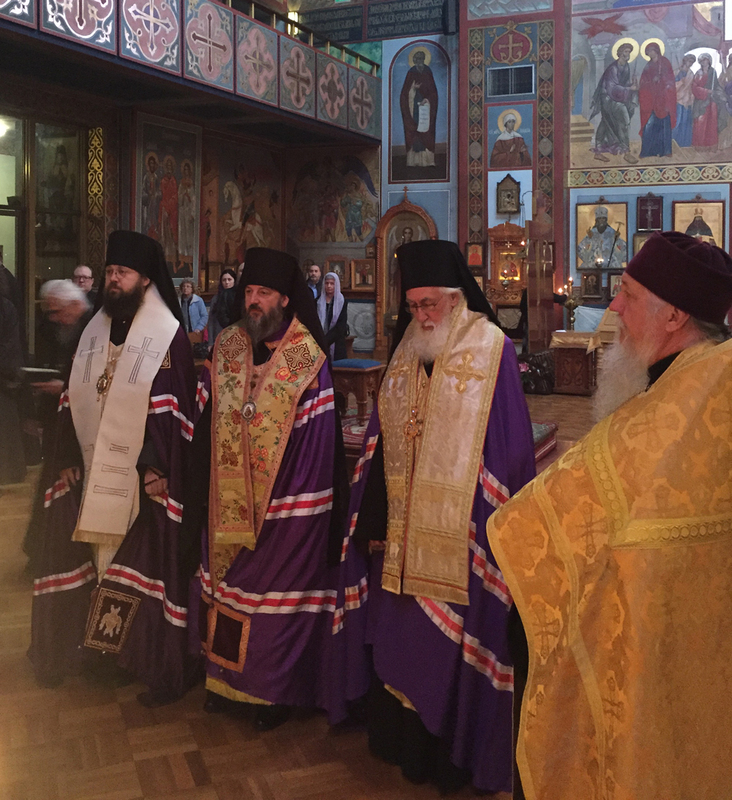 During these past years the Diocese marked the 700 Anniversary of the Repose of St. Sergius of Radonezh and simultaneously the 80 Anniversary of the foundation of the Western American Diocese and the 50 Anniversary of the Canonization of Holy Righteous John of Kronstadt; these events having taken place at St. Seraphim’s Church in Monterey, CA. Other jubilees during this time period included the 85 Anniversary from the founding of Holy Transfiguration Cathedral in Los Angeles, 20 Anniversary of the Canonization of St. John of Shanghai and San Francisco and the 50 Anniversary from His repose, and the 30 Anniversary from the founding of Christ the Merciful Saviour Monastery on Vashon Island, WA. Two episcopal consecrations took place: Bishop Nicholai of Manhattan in 2014 and Bishop Irenei of Sacramento in 2016. In addition there have been 4 ordinations to the priesthood, 10 ordinations to the deaconate, 10 sub-deacons were made, 13 readers were tonsured and there were two monastic tonsures. 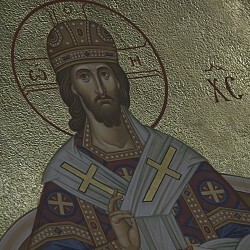 Milestones within the Diocese included 1) the founding of Saint Silouan the Athonite Monastery in Sonora, CA, 2) the building and consecration of St. George’s Church in West Jordan, Utah, 3) the consecration of Antimins for the serving of the Divine Liturgy, and 4) the opening of a Cossack cadet school in Sacramento, CA. The Diocese has been active in collecting charitable funds for those in need such as the school in Bethany, Israel. Over $25K was collected for the Miloserdiе Foundation in Moscow Russia. Annually scheduled plate collections have brought aid to many important causes like our diocesan monasteries and our youth. Not without deep significance, prayers have been raised for peace in the Ukraine and Middle East. Education and spiritual formation play a significant role in the Western American Diocese through our numerous parish schools, through St. John’s Academy in San Francisco and through St. Basil’s Academy in Walla Walla, WA. The Saints Cyril and Athanasius Institute for Orthodox Studies along with its distant learning program has conducted 11 symposia. 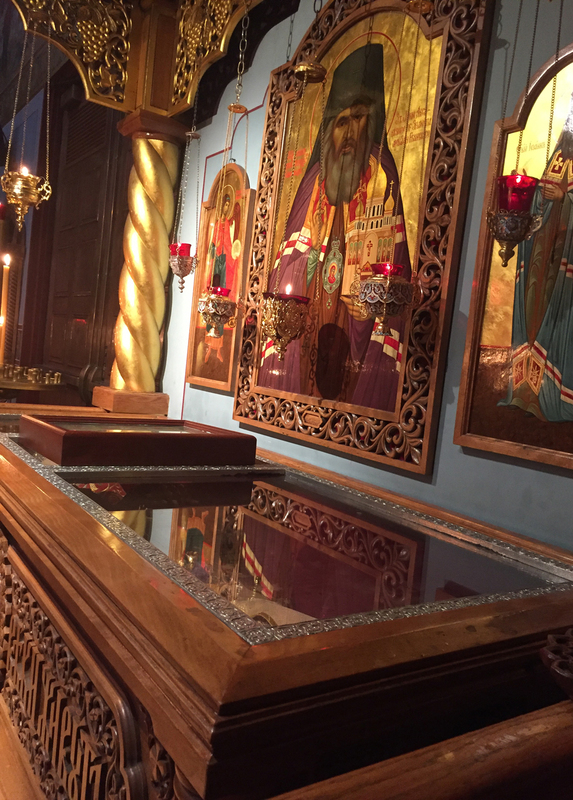 His Grace Bishop Theodosy and other clerics of the Diocese have conducted several pilgrimages to the Holy Land, Mount Athos, mainland Greece and Greek Isles. The Western American Diocese Youth Department has consistently organized and sponsored youth conferences and projects for the preparation of the up-coming generation. 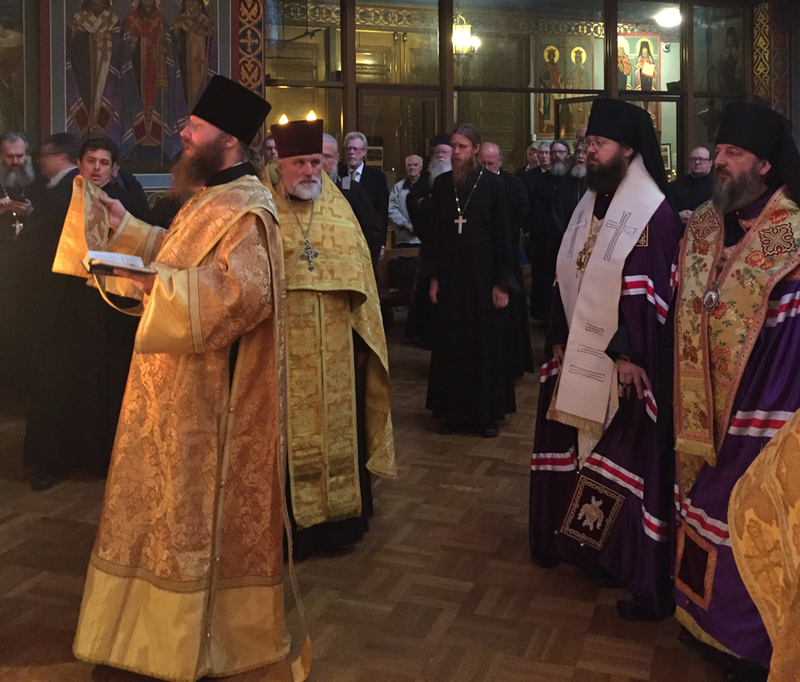 During this period the Western American Diocese has lost invaluable clerics and laity: Protopresbyter Konstantine Tivetsky (2012), Protodeacon Nicholai Triantafillidis (2015) and Matushka Vera Dombrovskaya. (2015). May God grant them Memory Eternal for their zealous labors for the Holy Church. His Eminence concluded his presentation by asserting that the Western American Diocese has established excellent relations with the Russian Consulate in San Francisco. Now, other Russian Consulates throughout the world are using our relationship as a model for their own interrelations with the Church. His Grace Bishop Irenei, the diocesan treasurer, gave an in depth financial disclosure elucidating the fiscal status of our Diocese. His Grace stressed the existence of mutual support between the Diocese and the parishes and thanked the delegates representing the parishes for all of the transitory funds that have been submitted for charitable giving. Unfortunately, there is being observed a slight decline in income received from our parishes’ assessable income. This trend is disquieting given present state of the economy and the annual needs of the Diocese. 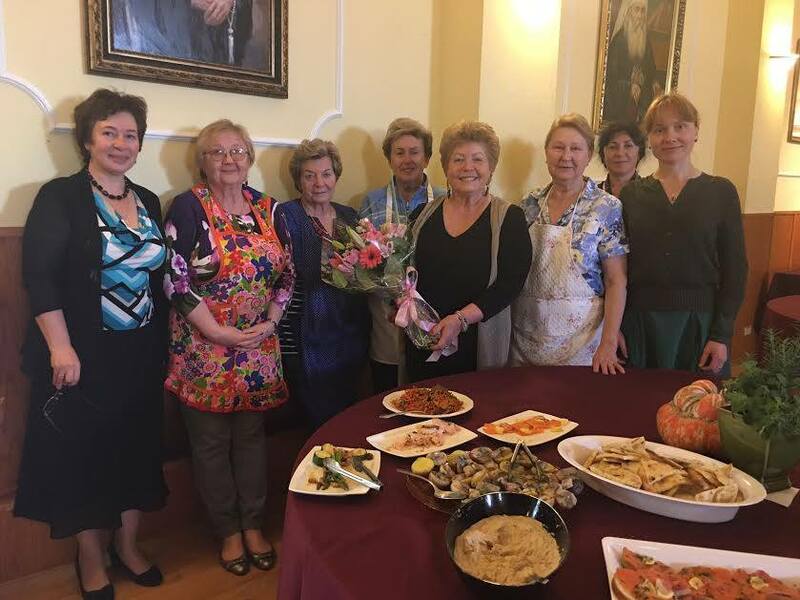 Vladyka Irenei appealed to the Assembly to suggest or seek out means to improve the fiscal strength of our parishes and thus the fiscal strength of our diocesan center. On a happy note, the Diocesan Auditing Committee reviewed and signed off the treasures financial reports. It was conveyed that great strides have been made in the legal status of the Diocese, which has been successfully updated with the IRS since the 1970s thanks to much hard work by diocesan staff and the assistance of a dedicated legal firm in Sacramento, CA. Bishop Irenei informed the Assembly that it is possible to address non-profit status and other legal questions to this legal firm through the Diocese. This could be quite advantageous to parish councils and treasurers, as many issues are common among the parishes and the answers to questions may be on hand. At this time the Diocesan Budget for 2017 was reviewed and ratified. Reports were heard from the numerous Diocesan departments, each chairman reviewing the work that had been accomplished over the period in question. These reports came from the following departments: Communications, Youth, School and Adult Education, Service Rubrics, Church Music, Missions and Finances. The report from the Youth Department was particularly heartwarming, especially with the addition of an audio/video presentation that showed the youth in action at conferences, the courtyard work project at St. Martin the Merciful Church in Corvallis, OR, and the music conference in Burlingame, CA. Election of the members of the Diocesan Council and Auditing Committee was held during the afternoon session. Little change took place. The current council will serve for the next three years. Its membership may be found here. Next came the Deans’ reports. At this time the three Deans of the Western American Diocese shared statistics on the number of Baptisms, Marriages and Burials that had taken place from 2012 to 2015. 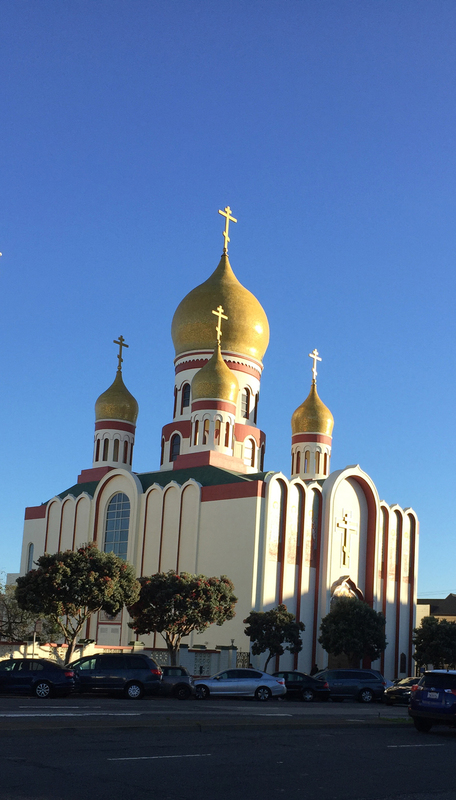 As it turned out All Russian Saints Church in Burlingame, CA, had performed over 160 Baptisms. Statistics indicated that both the Saint Nicholas Cathedral on Seattle, WA, and the All Saints of Russia Church in Denver, CO, received great numbers of infants into the Church. 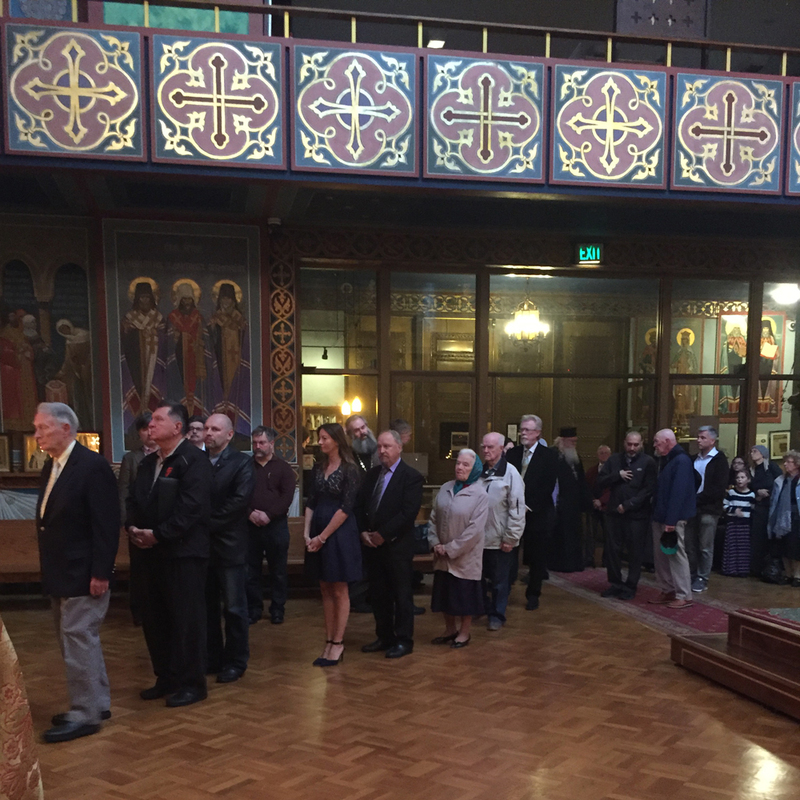 It was stated that the combined attendance for an average Sunday Divine Service of the parishes of the San Francisco Deanery is around 1000 participants. A mission in Tuscan, AZ, had closed, but a couple of missions have been opened. And, it was a great joy to report that St. George’s Church in Utah had been both constructed and consecrated, a Saint Herman’s West Youth Conference having been held there recently as well. St. Innocent of Irkutsk Church in Rogue River, OR, is under quick construction. The two sessions of the Diocesan Assembly were conducted efficiently and effectively in an atmosphere of unity and friendliness. On the next day, Wednesday November 16, a one day fall pastoral retreat was held for the clergy of the Diocese. 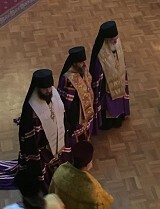 His Eminence Archbishop Kyrill presided over the Divine Liturgy surrounded by his brother bishops, priests and deacons. Later, there was a time for fellowship and then a round-table discussion was organized at which clergy shared their respective experiences and interactions with the clergy and parishes of other Orthodox jurisdictions. 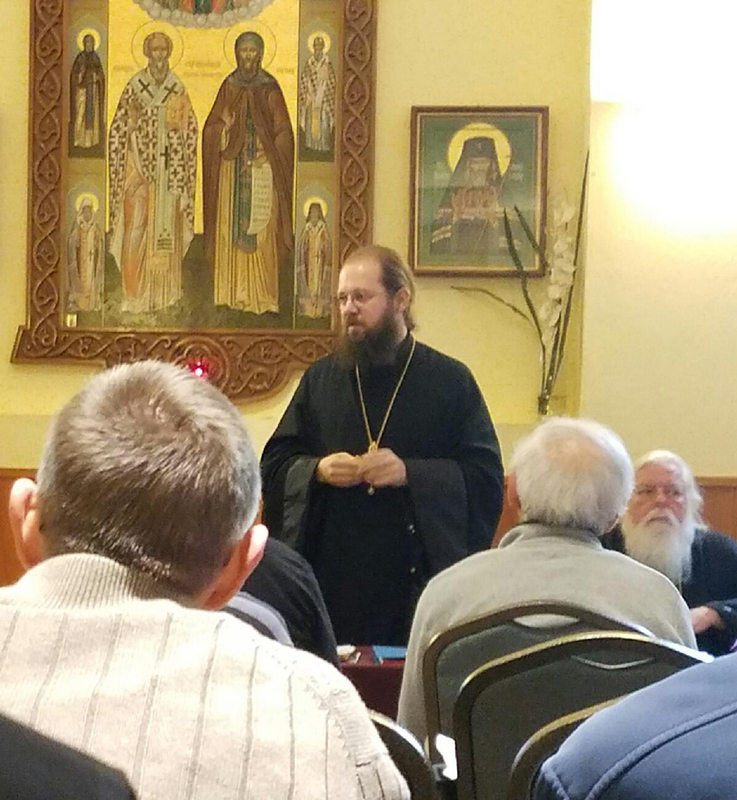 Of special note was the presentation by Archpriest Alex Kotar on the impressive pan-Orthodox clergy organization in Northwest which meets on a monthly basis, has its own budget and whose clergy support one another among other means by concelebrating patronal feast days. Many thanks to Holy Virgin Cathedral for hosting Diocesan Assembly of the Western American Diocese, with special gratitude to the Sisterhood for wonderful hospitality and great meals.